May has been designated Asian/Pacific American Heritage Month. This guide provides resources that highlight the history and contributions of Asian and Pacific Islanders. McHenry County College celebrates Asian/Pacific Americans Heritage Month! MCC recognizes this cultural celebration in April. 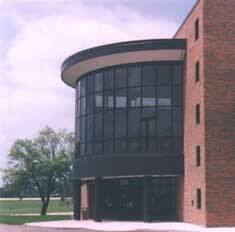 There are many activities all over campus, including free movies and a student trip to Chicago. For more information, visit MCC's Office of Multicultural Affairs. This featured release from the U.S. Census Bureau Newsrooms offers user-friendly statistics and figures regarding Asian-American and Pacific Islanders on topics such as: jobs, business, education, population, and more. 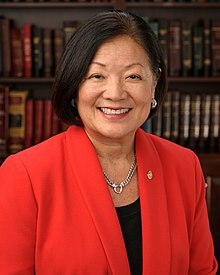 Senator Mazie Hirono (Hawaii) was the first Asian-American female senator and the first US Senator born in Japan. Mr. Mike Valdez, Chief Business Development Officer with the National Association of Asian American Professionals, NAAAP will inform us about NAAAP and how our students can participate and take advantage of NAAAP resources. Enjoy a delicious taste of Chinese food, while supplies last. Saturday, April 13 at 10 a.m.
Room A247 – Deadline: Wednesday, April 10, 2019. ​Free showing of the movie Crazy Rich Asians and open to all. Asian snacks will be provide – while supplies last. Free showing of the movie Lilo and Stitch and open to all. Asian snacks will be provide – while supplies last. According to asianpacificheritage.gov, "The month of May was chosen to commemorate the immigration of the first Japanese to the United States on May 7, 1843, and to mark the anniversary of the completion of the transcontinental railroad on May 10, 1869. The majority of the workers who laid the tracks were Chinese immigrants." In 1978, Congress passed Public Law 95-419, which directed President Carter to designate a week in May 1979 as Asian/Pacific American Heritage Week. In 1990, Congress passed a law amending the 1978 law, requesting a month-long observance. The term "Asian/Pacific" includes the continent of Asia and the Pacific islands of Melanesia (New Guinea, New Caledonia, Vanuatu, Fiji and the Solomon Islands), Micronesia (Marianas, Guam, Wake Island, Palau, Marshall Islands, Kiribati, Nauru and the Federated States of Micronesia) and Polynesia (New Zealand, Hawaiian Islands, Rotuma, Midway Islands, Samoa, American Samoa, Tonga, Tuvalu, Cook Islands, French Polynesia and Easter Island). "Soldiers perform a traditional Samoan dance during the Asian American and Pacific Islander Heritage Month observance at Camp Carroll in Waegwan, South Korea, May 4, 2017. The demonstrations showcased the rich cultural heritage that is a part of America’s diverse military." Army photo by Cpl. Sin Jae-Hyung. The Medal of Honor was awarded to 21 Japanese American soldiers of the 100th Infantry Battalion and the 442nd Regimental Combat Team. A young girl in San Francisco's Chinatown. Photographer: Carol M. Highsmith. "A committee volunteer writes the name of an attendee in Korean caligraphy at the Asian American Pacific Islander Heritage event at the Event Center on Goodfellow Air Force Base, Texas, May 18, 2018. The event helped inform base members about the different cultures during AAPIH month. (U.S. Air Force photo by Aryn Lockhart/Released)"